Even by the notoriously stargazing standards of early ’80s jazz funk, Potter & Tillman’s sought-after 1982 album Space Rapture is particularly intergalactic. Go! Bop! made a reissue of Joao Donato & Seu Trio’s Muito À Vontade, originally released in 1962. Never before reissued, this legendary 1968 EMI recording is a revered Indian jazz rarity; a collectors’ holy grail. 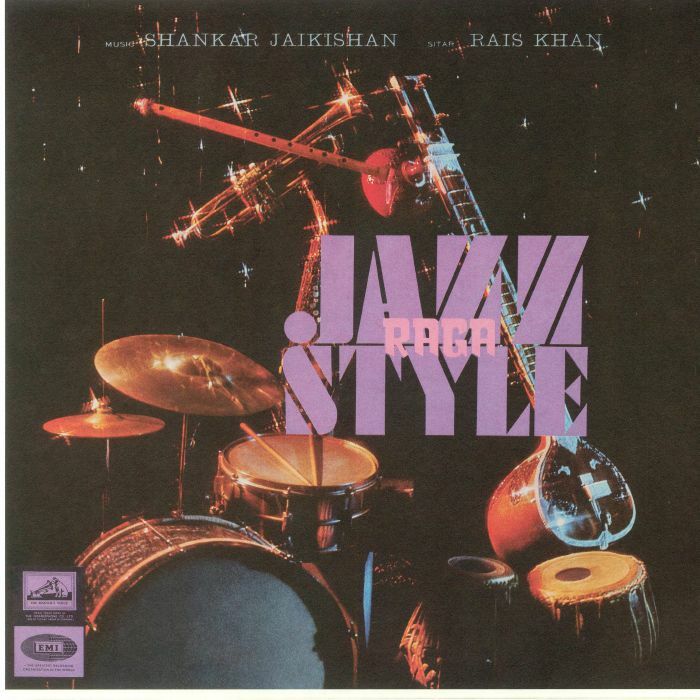 Raga Jazz Style is an original Indian excursion into Indo-jazz fusion. A one-away recording from the almost unknown Bombay jazz scene, it is among the few jazz LPs to hail from the subcontinent. In 1979 Sorry produced his third LP for the Paris based Sonafric group. Long out of print Africa Seven is re-issuing the LP with the authorization of the newly reformed Sonafric group. The re-issue benefits from extensive restoration and re-mastering to a spectral analysis level, bringing and polishing long lost and distorted sounds. Among guitar aficionados, they don’t come much heavier than acid-drenched enigma Eddie Hazel. A founding father of Funkadelic and responsible for the blazing ”Maggot Brain” solo, he released just one album. The Left Ear label hit that sweet spot once more, diving into the archive and coming back for air brandishing a veritable slab of private press jazz funk history. Originally pressed in 1979 in a run of 100 copies, Thesda was the brainchild of Thomas Crawford and Eugene C. Hagburg, backed ably by a handful of like-minded musicians, and existed for brief moment of sublime expression, captured in its entirety on this gorgeous LP. Andre-Marie Tala is one of the father figures of African music. Born in the western Provence of Bandjoun, Cameroon, his early years were plagued with tragedy. He lost his mother at 4, his father at 12 and then when on to lose his sight 15. Thankfully, the love of music stayed with him throughout his career and with the help of Manu Dibango he made his first recordings in 1972 and had two hits in Cameroon with Sikati and Potaksima.